“The I-78 corridor, particularly at Exit 33, remains of interest to globally recognized companies seeking quality office space near amenities and conveniences,” says Cushman & Wakefield's Frank DiTommaso II. 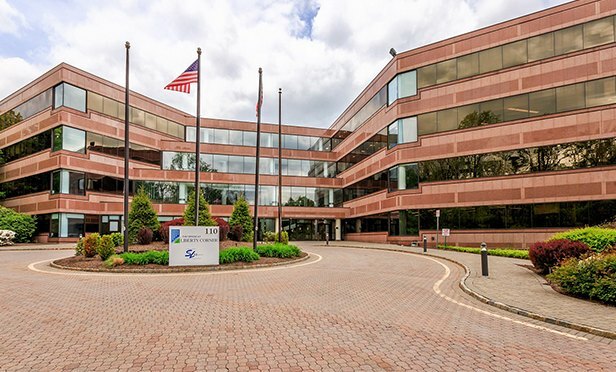 BASKING RIDGE, NJ—Cranford, NJ-based Signature Acquisitions acquired The Offices at Liberty Corners, 106, 110, and 150 Allen Road, Basking Ridge, NJ, from The Silverman Group. The sale of the three-building office park was brokered by Cushman & Wakefield’s East Rutherford, NJ, investment sales team of Gary Gabriel, Andrew Merin, David Bernhaut, Brian Whitmer and Frank DiTommaso II.